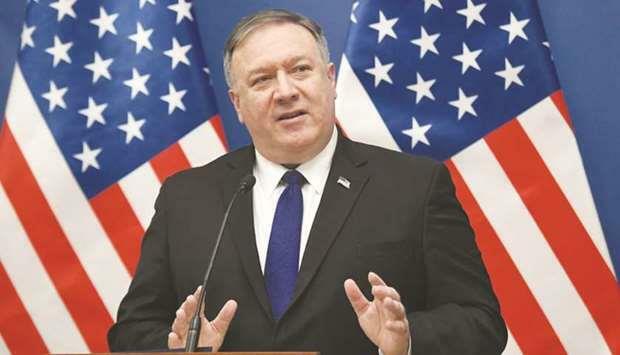 (MENAFN - Gulf Times) US Secretary of State Mike Pompeo has denied that Washington is 'covering up the killing of Saudi journalist Jamal Khashoggi and promised further action. 'America is not covering up for a murder, Pompeo told reporters in Budapest when asked about criticism by a senior Democrat. He added that the United States would take more action to hold accountable all those responsible for the US-based journalist's death inside the Saudi consulate in Istanbul in October. The remarks came after US President Donald Trump missed a deadline set by Congress to reply by Friday on whether Saudi Arabia's powerful Crown Prince Mohamed bin Salman ordered the killing of the Washington Post contributor. Pompeo said that Trump's administration is 'working diligently on its investigation. 'The president has been very clear couldn't be more clear as we get additional information, we will continue to hold all of those responsible accountable, he said. 'This amounts to the Trump administration aiding in the cover-up of a murder, Kaine said in a statement. 'America should never descend to this level of moral bankruptcy.